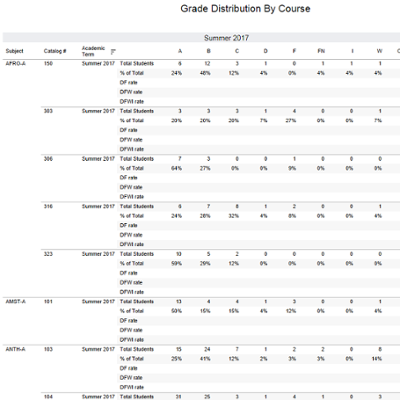 The following report provides grade distributions and DFW rates for all courses at the Indianapolis and Columbus campuses. 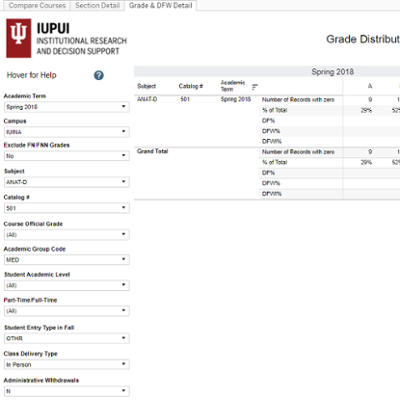 The report is only visible to those affiliated with Indiana University. For more information, please contact Teresa Troke at tsanders@indiana.edu or (317) 278-6221.